I'm totally loving the bright, glossy fuchsia of my mani this week! Deborah Lippmann Between the Sheets is that perfect in-between-the-seasons color that just jazzes up any palette. And you know what? 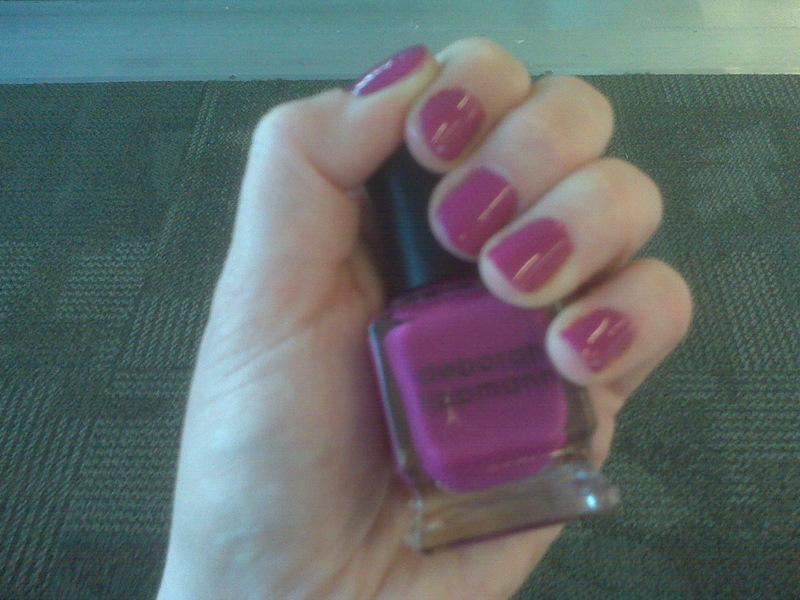 I just did this manicure while I was waiting for my (very delayed) flight back to NYC from Indianapolis. Hey, I needed something fun and beautiful to pass the time! Deborah Lippmann Between the Sheets retails for $17 at beauty.com.